Are you looking to improve your PPC click through rates? Would you like to convert more of your click throughs to customers? 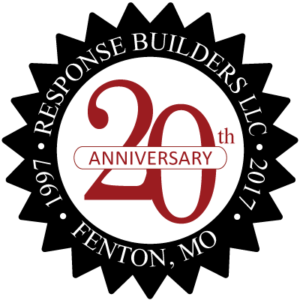 Response Builders can help! Our proven techniques can help you to maximize your PPC campaigns. We use a proven 5-step process when executing paid search engine advertising campaigns that will work for you. The first step in any search engine marketing project is an initial discovery session. This meeting is designed to allow Response Builders the opportunity to learn about your company, your short-term and long-term online goals, relevant target audiences and industry trends. This information will naturally help us to develop the most effective PPC campaigns. Arguably the most important step, keyword brainstorming is a joint session whereby the client and response builders work together to devise a list of keyword upon which to bid. This list is then extrapolated and expanded to create a final keyword bid list. Comprehensive competitive research is also conducted during steps 1 & 2 as a means to understand your industry and relevant search terms. During this stage of campaign development, PPC accounts are established, ads are written, and landing pages are built. We will also devise a campaign schedule, daily and monthly budgets, determine matching options as well as set maximum bid levels on a keyword by keyword basis. Once the campaigns have been set-up and approved for launch, Response Builders will activate and manage the accounts based on the previously devised PPC ad schedule. Paid advertising campaigns require constant monitoring; it is imperative to review usage data, ad performance, bids and budgets, click-throughs and conversion rates on a regular basis to ensure success. If needed, Response Builders with edit, alter, tweak and improve to maximize your ROI.